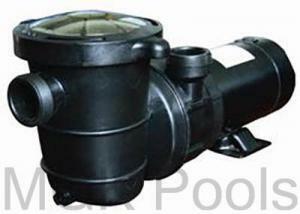 This 2-speed pool pump is the ideal for Above-Ground Swimming Pools with sand filters. It comes with a 6-foot 20-amp cord and has a vertical/top discharge. 1.5-inch threaded inlet and outlet for easy adaptation to any system. Reliant® RPF Pro series with a high-performance energy efficient motor. Excellent working performance and high efficiency. It is suitable for all above ground pools. Transparent strainer lid is good for inspecting.